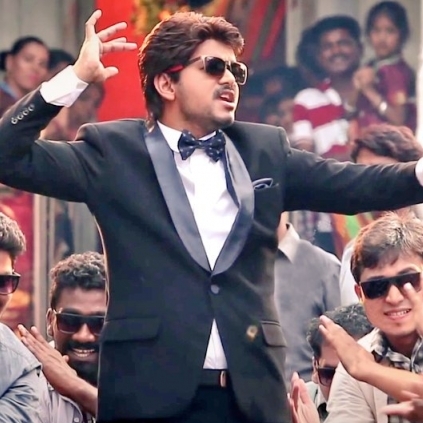 JUST IN: LATEST UPDATE ON BAIRAVAA’S TRAILER! As reported by us earlier in the day, the trailer of Vijay’s Bairavaa will apparently release on the 1st of January 2017. The latest we hear is that the trailer had got a ‘U’ certificate and it now ready to break all records. Bairavaa team will be uploading the video on YouTube on the 31st December, and the video would be made live at 12.00 midnight (Jan1). So Vijay fans, if you have other plans for New Year’s Eve, please reschedule it as Thalapathy is coming up with a special New Year treat for you. It will be 20 minutes shorter than Vijay’s Kaththi! People looking for online information on Bairavaa, Ilayathalapathy, Vijay will find this news story useful.